On Friday, October 19th, a firefight between Afghan policemen in Jaji Maidan, Khost resulted in three deaths. According to local officials, the firefight broke out as a result of a dispute between families (the Taliban, of course, claimed credit and said the attacker is now safe with them). That same day, a cook working for the Afghan police in Nahr-e Saraj, Helmand attempted to kill several officers by poisoning their food. Perhaps out of impatience, he and another Afghan policeman returned to shoot and kill two of the officers. Not long after, insurgents attacked the checkpoint the police were manning and killed four more. These “green-on-green” attacks (where Afghan security forces attack their Afghan comrades), already being dubbed insider attacks by Afghan and Western media, are different from but closely linked to the green-on-blue attacks that have been making headlines since August. 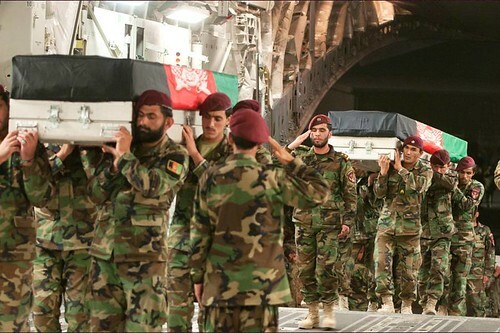 While ISAF has been the primary target of insider attacks, many Afghan troops have been killed as well. (For resources to track green-on-blue attacks, click here). We don’t know enough about insider attacks to say whether they are primarily driven by grievances or infiltration, but the October 19th incidents highlight the vulnerability ISAF and Afghan forces suffer from both. The green-on-green attack in Helmand echoes the complexity of the green-on-blue attack on US soldiers in Wardak on September 29th. In that attack, a patrol of about 20 US soldiers was ambushed by Afghan soldiers at a checkpoint, possibly supported by insurgents from multiple directions. The shootings by an Afghan policeman and cook in Helmand was followed up with an attack by insurgents, who may have been expecting weakened resistance after the cook’s poisoning effort. The Taliban has undoubtedly noted the media impact of the recent spike in insider attacks. As they suffer attrition at the hands of ISAF and backlash from Afghans in villages throughout the country, they will seek the exploit the opportunity that insider attacks provide, and the Wardak and Helmand attacks may be the first signs of an organized attempt to do so. ISAF’s change in policies and troop postures on bases in response to the increase in green-on-blue attacks necessitates more complex planning and may lead to a preference for targeting Afghan forces as foreign troops become increasingly harder to kill. With the Taliban’s overall strategic goal of reconquering Afghanistan after 2014 in mind, the likely aims of planned insider violence are to sap foreign public (primarily American) support for the war, reduce the quality of ANSF training by poisoning their relationship with ISAF, and reduce ANSF efficacy by sowing chaos and damaging morale within the forces. Executing green-on-blue and green-on-green attacks encourages the spread of grievance-based insider attacks through the copycat effect, further aiding the Taliban’s efforts to weaken Afghan security forces.